It’s officially fall, which can be a great time to head outdoors. It’s still warm enough to hike, and in the high country the fall colors are on brilliant display. Wildlife are also making their preparations for winter. Sights and Sounds of Autumn is a publication from the Colorado Division of Wildlife that explores characteristics of animal behavior in this season, from bugling elk to migrating birds, spawning trout to mating moose. 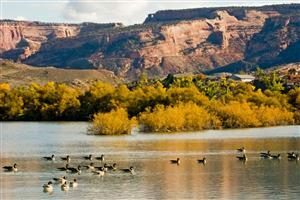 Colorado Parks & Wildlife has a list of places to go to see migrating birds. 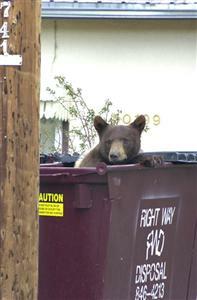 Other wildlife species are storing food and preparing their bodies to stay warm over the long winter. Another Division of Wildlife publication, Bears, takes a look at how these large mammals increase their search for food and can be a potential hazard to humans. Heading up to the mountains to see the fall colors has always been popular in Colorado. Many of the places nearest the metro area get quite crowded, so if you’re looking for somewhere new to go, state agencies have issued several guides that can help. Rush to the Gold is a publication that highlights fall color viewing in the State Parks. 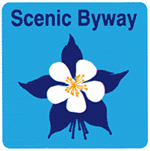 Discover Colorado: Colorado’s Scenic and Historic Byways and the Colorado Department of Transportation’s byways website provide ideas for driving tours of the fall colors. The Colorado Tourism Office also has a list of suggested sites on their website, as does Colorado Parks and Wildlife. You can also search our library’s online catalog for maps and trails guides. Colorado’s aspen forests are not only adapting to the season change, but are adapting to climate change as well. What’s Happening to Colorado’s Aspen Forests?, a publication from the Colorado State Forest Service, explores this issue.